Now I know at first sight, "cabbage hues" does not seem that appealing. But if you think about it, cabbage colours are actually quite beautiful. From vibrant greens to deep purple, it's a rich and perfectly complimentary colour palette. And I love it! 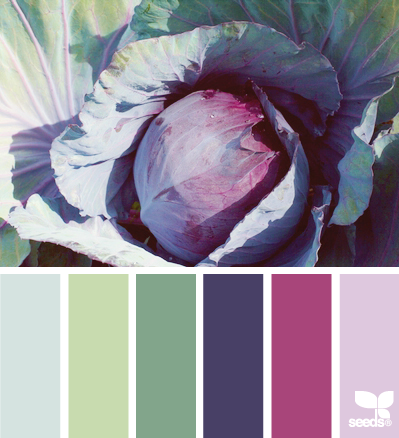 I hope this week's colour palette from Design Seeds pick inspires you to create something beautiful. And if you do, please share it with me!